For a number of years BHW has been supporting a sewing programme in Rawat township. Many women have been trained to sew and now are able to support their families because of this. As well, at the request of the community, adult literacy classes were run, mainly to help the local Christian adults to learn to read. This has been particularly successful. On the back of these two successful programmes the young people in Rawat have asked for a computer training programme. This will be of help to the young people, and something for the young men as well. In addition, the Christian Cambridge School (PAK06) that BHW has been supporting also requires some computers. These would be for the school students to use and also for evening courses in the community to come alongside the sewing and other programmes that are being delivered there in Wazir. The idea is to purchase some laptop computers that will be based at the Christian Cambridge School in Wazir town. Each Saturday some of the laptops will be taken over to Rawat and courses will be run there for those who are interested. The young people there who have been trained in sewing and who attended the adult literacy classes now want this to help them to continue to learn and become more able to get better employment. They would have no access to training like this as they could never afford it. BHW has had a relationship with Azam and Barbara since 2002 after our Field Director met them at an international conference. In August 2008 BHW funded a pilot sewing programme in Islamabad where 20 women were trained and this had an incredibly positive impact in that community as for the first time many of these women were now able to support themselves and their families. Since then a number of other sewing and adult literacy programmes have been funded, as well as support provided for the establishment of the Christian Cambridge School. These computer training courses are another avenue whereby incredibly poor Christians in these areas can be empowered to obtain better jobs, and are also an evangelistic tool to reach out into the community. The students of the Christian Cambridge School that is run by Barbara Gill. The young people in the communities of Wazir town and Rawat, and their families. This follows on from previously successful projects in these communities with the sewing and adult literacy so it is building on established good will and people. Building bridges into the local communities is very important for a minority people like the Christians in Pakistan. Any tools they can be given to make that possible is a good investment. They have people and structures in place to make this successful. Azam has been in ministry since the late 1990's and is very passionate about the gospel. He is married to Barbara and they have three children, two boys and one girl. He gave his life to the Lord in 1987 and in 1991 joined a Bible School here in Pakistan. The Gill family is well known and has served the community for many years, especially in Rawalpindi and Islamabad. He has a heart for evangelism but can see the benefits of providing training and education to the poor in his community. The vision is to provide further training for poor young people who would have little chance of access to this sort of training. The purpose is to assist these young people to be better equipped to get good jobs and so become self-sustaining. The strategy is to create a permanent computer lab at the school for the students. This will mean that every student will get access to computers and so do well at their schoolwork, pass exams well and get access to better employment opportunities. This will give them opportunities few of them would ever get. In 5 years this will be an essential part of the school and a large contributor to the success of the school and the children. In terms of the communities, it would be expected that in 5 years most who go through this training will have good jobs, not just the sweeping and cleaning jobs they currently have. Those who have been through the adult literacy have all obtained better jobs because of it. The computer training will mean they are able to rise higher in their employment and get better salaries. This is important for each family but also for the growth of the local church which is very poor at present. Initially 10 laptop computers will be purchased and at this stage the expected plan is that BHW will continue to fund the tutor's wage and purchase 5 new computers each year for 3-4 years. This will be to replace some but also to increase the overall number of computers in the lab. By that stage the school will be able to fund the tutor and replace computers as required. 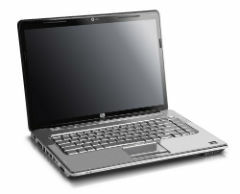 The initial set-up budget here is US$5,950 which covers the cost of 10 laptop computers, wages for the tutor, and other incidental set-up costs.